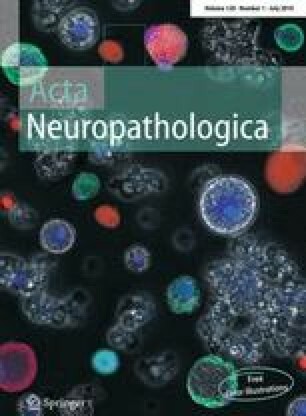 Through an international consortium, we have collected 37 tau- and TAR DNA-binding protein 43 (TDP-43)-negative frontotemporal lobar degeneration (FTLD) cases, and present here the first comprehensive analysis of these cases in terms of neuropathology, genetics, demographics and clinical data. 92% (34/37) had fused in sarcoma (FUS) protein pathology, indicating that FTLD-FUS is an important FTLD subtype. This FTLD-FUS collection specifically focussed on aFTLD-U cases, one of three recently defined subtypes of FTLD-FUS. The aFTLD-U subtype of FTLD-FUS is characterised clinically by behavioural variant frontotemporal dementia (bvFTD) and has a particularly young age of onset with a mean of 41 years. Further, this subtype had a high prevalence of psychotic symptoms (36% of cases) and low prevalence of motor symptoms (3% of cases). We did not find FUS mutations in any aFTLD-U case. To date, the only subtype of cases reported to have ubiquitin-positive but tau-, TDP-43- and FUS-negative pathology, termed FTLD-UPS, is the result of charged multivesicular body protein 2B gene (CHMP2B) mutation. We identified three FTLD-UPS cases, which are negative for CHMP2B mutation, suggesting that the full complement of FTLD pathologies is yet to be elucidated. Members of the FReJA consortium are listed in the Appendix. Frontotemporal lobar degeneration (FTLD) describes a group of diseases characterised by bilateral, often asymmetric, atrophy of the frontal and anterior temporal lobes. Frontotemporal dementia (FTD), also termed behavioural variant FTD (bvFTD), is the most common clinical manifestation, but FTLD can also cause the language disorders progressive non-fluent aphasia (PNFA) and semantic dementia (SD), collectively known as primary progressive aphasia (PPA). The clinical presentation is related to the distribution of pathology in the frontal and temporal lobes. Despite gross pathological similarities, FTLD comprises a clinically, genetically, and neuropathologically heterogeneous collection of disorders. A family history of a similar disease has been reported in 25–40% of FTLD cases [6, 44, 50], although this estimate is much lower in some populations . FTLD-causing mutations have been found in the microtubule-associated protein tau (MAPT) , progranulin (GRN) [1, 7] and charged multivesicular body protein 2B (CHMP2B) genes . Mutations in valosin-containing protein (VCP) cause inclusion body myopathy and Paget disease of bone with frontotemporal dementia, in which 20–100% of patients can develop FTD [10, 53, 56]. GRN mutations account for approximately 10% of FTLD cases [2, 7, 8, 9] and MAPT up to 10% depending on the population studied [15, 41, 48]; while mutations in CHMP2B are a much rarer cause of FTLD, having been reported in one Danish family termed frontotemporal dementia linked to chromosome 3 (FTD-3) [25, 49, 52] and one unrelated Belgian familial FTLD patient . Up to 40% of FTLD cases, including all MAPT mutation cases, have tau pathology  (FTLD-tau); while over 50% have neuronal inclusions, which are immunoreactive for ubiquitin in the absence of abnormal tau, α-synuclein, or amyloid deposition . In the majority of tau-negative cases, the major ubiquitinated protein is the TAR DNA-binding protein 43 (TDP-43) [11, 39], and these are designated FTLD-TDP . FTLD-TDP can be further classified into neuropathological subtypes depending on the distribution, morphology and precise cellular location of inclusions [28, 45]. Recent studies report that 6–20% of tau-negative FTLD cases have ubiquitinated inclusions which are TDP-43 negative [12, 21, 29, 42]. Ubiquitin positive, tau and TDP-43 negative cases include those with neuronal intermediate filament- and α-internexin-positive inclusions [5, 19], termed NIFID, and basophilic inclusion body disease (BIBD) [35, 58]. Distinct from these are a subset of FTLD cases termed atypical FTLD-U (aFTLD-U), which do not have intermediate filament positive or basophilic inclusions, but are characterised by unusual curved or twisted neuronal intranuclear ubiquitin positive inclusions, as well as cytoplasmic inclusions [29, 42]. The recent finding of FUS (fused in sarcoma) protein pathology in aFTLD-U cases  and subsequently in NIFID and BIBD cases [34, 38] has led to further reorganisation of FTLD classification : aFTLD-U, NIFID and BIBD are now considered three distinct subtypes of FTLD-FUS, the collective term for FTLD cases with FUS pathology. Cases with ubiquitinated inclusions that are negative for tau, TDP-43 and FUS are termed FTLD-UPS ; this includes FTLD cases caused by CHMP2B mutations [13, 14]. FUS pathology was first described in familial ALS cases following the discovery of causative mutations in the FUS gene [23, 55]. FUS is a multifunctional DNA- and RNA-binding protein, sharing functional homology with TDP-43 . FUS pathology has also been found in polyglutamine expansion diseases including Huntington’s disease, suggesting a broad spectrum of FUS proteinopathies [34, 38, 57]. However, FUS pathology was not found in FTD-3, a major subtype of FTLD-UPS . A minority of cases do not have tau, TDP-43, FUS or ubiquitinated inclusions and these have been termed FTLD with no inclusions (FTLD-ni, previously dementia lacking distinctive histopathology, or DLDH) . Increasingly sensitive immunostaining protocols have led to most FTLD-ni cases being reclassified [20, 26, 32]; however, a small group remain negative for characterised inclusions despite the use of updated ubiquitin immunohistochemistry. Here, we report, through a major international collaboration, the first comprehensive collection of the aFTLD-U subtype of FTLD-FUS and describe their clinical and demographic features. A total of 37 cases with ubiquitin-positive but tau- and TDP-43-negative inclusions were evaluated from 12 academic research centres. In each centre, clinical information was acquired from case notes by a neurologist with expertise in neurodegenerative diseases. Standard neurological and cognitive assessments were used to ascertain the presence of behavioural, cognitive and motor abnormalities. All centres followed consensus clinical criteria for FTLD diagnosis [33, 36], and were asked to supply presenting symptoms for each patient and the final clinical diagnosis that had been rendered by the evaluating neurologist. These data were collated and then reviewed by an expert in FTLD (K.A.J.) to ensure consistency in diagnosis among the different centres. BIBD and NIFID cases were specifically excluded in order to focus on a specific subtype of FTLD-FUS. Twenty-three cases for which DNA was available (21 FTLD-FUS and 2 FTLD-UPS) were screened for CHMP2B mutations. Fifteen FTLD-FUS cases were screened for FUS mutations and a further six have been reported previously as FUS mutation negative . Patients were considered to have a family history if a first- or second-degree relative had dementia. This study was approved by the UCL Institute of Neurology and National Hospital for Neurology and Neurosurgery Local Research Ethics Committee. All cases were stained for TDP-43, ubiquitin and α-internexin or neurofilament proteins according to local protocols at each centre [2, 12, 21, 27, 29, 39, 40, 42, 47, 53]. Experienced neuropathologists in each centre analysed the sections to give the neuropathological diagnosis. FUS staining was subsequently performed on frontal cortex and hippocampus for all cases. As previously described, FUS staining is sensitive to length of fixation . Therefore, at least two antibodies (Sigma HPA008784 and Bethyl Laboratories A300-302A) were used for all cases examined and antibody concentrations optimised for each case by ensuring physiological FUS staining was visible, as recommended in the original description of FTLD-FUS . To further ensure inter-centre reliability 26 cases, including the three remaining FTLD-UPS cases, were stained in one of two laboratories which first reported FTLD-FUS (IRM or MN). Genomic DNA was extracted from brain tissue using standard phenol–chloroform extraction, or DNA extracted from brain or blood was directly provided by the contributor. The entire open reading frame and exon–intron boundaries of CHMP2B and FUS were sequenced, except for three cases in which FUS exons 14 and 15 only were sequenced. Primers and conditions for CHMP2B sequencing have been described previously ; conditions for FUS sequencing are available on request. Sequences were analysed using the SeqScape software Version 2.5 (Applied Biosystems, Foster City, CA, USA). A total of 37 ubiquitin-positive, tau- and TDP-43-negative cases were examined. 92% (34/37) of cases were characterised by neuronal cytoplasmic and intranuclear inclusions (NIIs) which were immunoreactive for FUS, corresponding to the aFTLD-U subtype of FTLD-FUS. The NIIs were as previously described, having an unusual morphology, which can be long and straight, curved or twisted [29, 42]. Striatal degeneration was present in 100% (27/27) of aFTLD-U cases and hippocampal sclerosis was present in 97% (29/30) of cases. 8% (3/37) were characterised by ubiquitin-positive neuronal cytoplasmic inclusions (NCIs) which were FUS-negative, i.e. FTLD-UPS. Sequencing of the CHMP2B gene in all cases for which DNA was available revealed no further coding mutations. Two synonymous coding variants were identified in three FTLD-FUS cases: c.27C>T, p.Thr9Thr and c.372A>C, p.Thr124Thr. These two variants were each observed in the heterozygous state but always together, suggesting they could be in linkage disequilibrium. None of these variants has been previously reported, but as they do not lead to an amino acid change, they are unlikely to be pathogenic. Therefore, CHMP2B mutation-positive cases comprise a distinct genetic subgroup of FTLD-UPS. No mutations were identified in FUS in any case. Age at onset data was available for 33 aFTLD-U cases. The mean age of onset was 41.2 years (standard deviation 9.3 years). The three FTLD-UPS cases had a mean age of onset of 50.3 years (standard deviation 4 years). Disease duration data were available for 33 aFTLD-U cases. Mean disease duration was 7.7 years (standard deviation 3.2 years). Disease duration data were available for only two of the three FTLD-UPS cases and were 4 and 11 years, respectively. Of the aFTLD-U cases, 47% (16/34) were female and all three FTLD-UPS cases were female. One aFTLD-U case (3%, 1/34) had a family history and 2/3 of the FTLD-UPS cases had positive family histories. The clinical features of several aFTLD-U cases have previously been reported [21, 29, 42, 46] and analysed together, these cases form a clinically homogeneous group. 94% (32/34) of aFTLD-U patients received an initial diagnosis of bvFTD (Table 1). The other two patients, for whom there was little clinical information available, were described as having ‘unspecified dementia’. Patients were typically described as showing a decline in social conduct, self-neglect and disinhibition, with aggression as a common feature. Inappropriate sexual behaviour was widely reported, in 52% of cases (12/23) (Table 1). Dietary changes, most commonly overeating, were observed in 81% of cases (21/26) with hyperorality a feature of several. Strikingly, psychotic symptoms, either hallucinations or delusions, were observed in 36% of aFTLD-U patients (8/22), and not comorbid in any case. Motor symptoms were infrequent and when present, they were typically limited to mild rigidity or intermittent hyperkinesias. Only one patient (1/30, 3%) showed classical parkinsonism. The three FTLD-UPS cases all had an initial diagnosis of bvFTD. Very little clinical information was available, but apathy was common to two of these cases as was parkinsonism. This study describes the first comprehensive collection of the aFTLD-U subtype of FTLD-FUS. We show that aFTLD-U has a distinct clinical phenotype characterised by the behavioural variant FTD syndrome, a young onset of disease, a high prevalence of psychotic symptoms and a low prevalence of motor symptoms. FUS pathology accounted for 92% of cases with ubiquitin-positive, tau- and TDP-43-negative FTLD showing that it defines the vast majority of such cases. However, we identified three FTLD-UPS cases without CHMP2B mutation showing that while such cases are rare, the FTLD-UPS classification has not been completely subsumed by CHMP2B mutation cases or FTLD-FUS. Of all of the FTLD subtypes, bvFTD is pathologically the most heterogeneous making it difficult to predict the underlying pathology from clinical features in life. This cohort similarly has an overlapping range of symptoms with other sporadic and genetic causes of bvFTD. However, psychotic symptoms are rarely described in other cases of bvFTD , and the presence of delusions and hallucinations in a substantial proportion of this cohort may help to distinguish them from other patients. The very low frequency of motor symptoms may also help define this group of patients. The mean age of onset of 41.2 years for the aFTLD-U cases is much lower than that of a previously reported sporadic FTLD cohort (60.5 years) , and therefore, may help distinguish them from other sporadic FTLD cases. 15/34 aFTLD-U cases came from two contributing centres, therefore, it is possible that the results have been biassed by these cases, which were previously reported to have a low age of onset [29, 42]. However, the age of onset of these cases is not significantly different from the other 19 cases in the study (t test, ns). Furthermore, psychotic symptoms are evenly distributed between cases from these two centres (3/7, 42%) and cases from other centres (5/15, 33%) (Fisher’s exact test, ns). Only one aFTLD-U case (3%, 1/34) had a positive family history for FTD: this patient was one of nine siblings, and had one brother who was diagnosed clinically with ‘Pick’s disease’ at 61 years of age and died at 64 years of age without autopsy. Another brother was reported to show ‘cognitive changes’ at the age of 64 years. The patient was negative for FUS mutation, suggesting that there may be other genetic causes of FTLD-FUS. While aFTLD-U cases have a distinctive and consistent clinico-pathological phenotype, FTLD appears to occur sporadically in the majority of cases. Of the three FTLD-UPS cases, two had a family history, and one had at least two relatives affected with the same disease . These cases were negative for CHMP2B mutations, which suggests other genetic causes of FTLD-UPS and the possibility of at least one other unidentified ubiquitinated protein associated with FTLD. No gender bias was found in any of the groups studied. A female preponderance was previously reported in an analysis of a subset of aFTLD-U cases ; however, this was not confirmed in wider analysis. It has recently been shown that two rare subtypes of FTLD, NIFID and BIBD have extensive FUS pathology [34, 38]. We did not include NIFID and BIBD cases in this study as they have been described to have distinct clinical features to aFTLD-U cases, particularly prominent motor symptoms [3, 18, 19, 34, 51, 58]. In order to allow comparison of FTLD-FUS to other FTLD cases, we focussed on one subtype of FTLD-FUS (aFTLD-U), as it is possible that FTLD-FUS comprises a clinically heterogeneous group. However, now that NIFID, BIBD and aFTLD-U have been shown to have a common underlying pathology, it will be interesting to directly compare these different FUS entities in future studies. FUS pathology is also found in polyglutamine expansion diseases including Huntington’s disease , showing that it is not limited to the FTLD-MND spectrum of diseases. This is similar to tau and TDP-43 pathology, which are pathological hallmarks of different FTLD subtypes but are also observed in a wide range of other neurodegenerative diseases. Within the clinical syndrome of FTLD, FUS pathology will be an extremely important tool for the classification of cases which are tau- and TDP-43- negative, and wider analysis of FTLD-FUS cases may reveal further subtypes. In conclusion, the vast majority of cases with tau- and TDP-43 negative inclusions have FUS pathology, suggesting that FTLD-FUS is an important FTLD subtype. The opportunity to analyse a large series of aFTLD-U cases has only been possible through a large multi-centre collaboration, with all centres contributing a relatively small number of cases. This collaborative effort has provided new insights into the genetic and clinicopathological spectrum of FTLD-FUS and FTLD-UPS. Anders Gade, Tove Thusgaard, Memory Disorders Research Group, Copenhagen University Hospital Rigshospitalet, Copenhagen, Denmark. Susanne Gydesen, Psychiatric Centre Ballerup, Copenhagen University Hospital, Ballerup, Denmark. Elisabet Englund, Department of Pathology, Lund University Hospital, Lund, Sweden. This work was undertaken at UCLH/UCL, and was supported by the Department of Health’s NIHR Biomedical Research Centres; the Medical Research Council, UK; the National Institute on Aging, National Institutes of Health [grant numbers P30 AG012300 to UTSW, P30 AG13854 to NWU, P50 AG16574 to Mayo Clinic, AG10124 and AG17546 to U. Penn. ]; the National Center for Research Resources, National Institutes of Health [grant number UL1RR024982]; the National Institutes of Health [grant number NIH NS65782-01 J]; the Fund for Scientific Research Flanders (FWO-V); the IAP P6/43 network of the Belgian Science Policy Office (BELSPO); the Winspear Family Center for Research on the Neuropathology of Alzheimer Disease and the McCune Foundation.